With the advent of modern technologies, mankind has been experiencing better inventions and gadgets every now and then. The gaming phenomena is a new trend, popular among the young generation of computers users and Smartphone users. They play intense games with stunning graphics visuals on their Android Smartphones. You can customize and develop different apps to make your gaming experience even better. Get in touch with the Android Game Development services to avail all the help you need in customizing your games. We have the track record of getting the highest number of co-operative projects in the market. By contacting the experts at techsupportdubai, you will be consulting an experienced software developer who has spent years working on gaming application designing. We provide you with premium access to all the necessary software and technologies you need to make your game better. 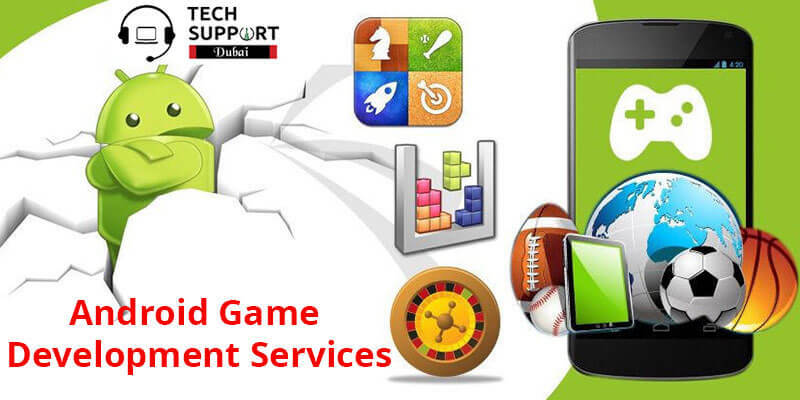 Dial our helpline number: 0557503724 for Android Game Development and get assisted by our tech executives. We are available 24*7 on our new and improved live chat services to avail faster response to your tech trouble. We aim to draw a smile on our customer& face by giving them our quality solutions within an affordable price range.